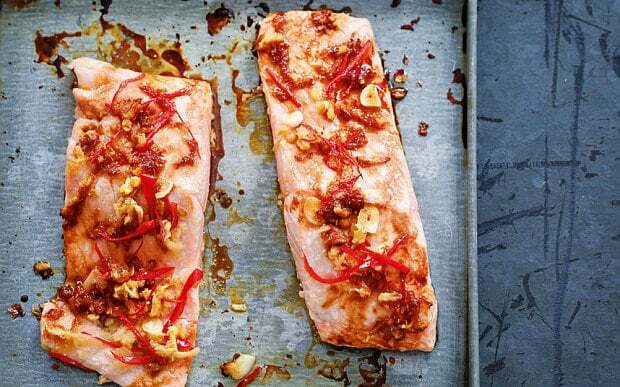 Chilli and ginger salmon - home cooked food delivered. 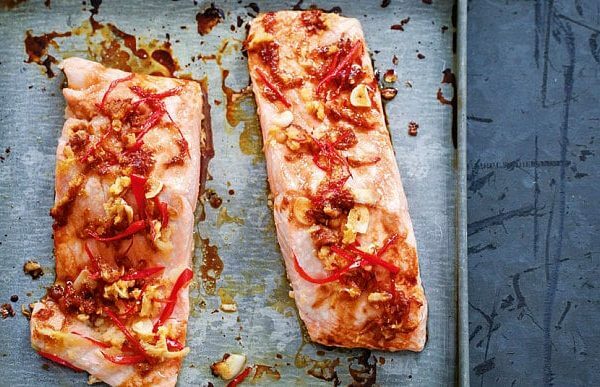 The blend of stem ginger and chilli makes this dish a sensational, tangy dinner party must! Remove packaging, spread 2 teaspoons of dressing over the salmon, place on a baking tray in a preheated oven and bake at 190c for 8-10 minutes. Keep refrigerated and use within 3 days or freeze immediately. Sauce to be used within 7 days.